Proposals can be declined almost instantly just because they have wrong price and it is not about price being too high. 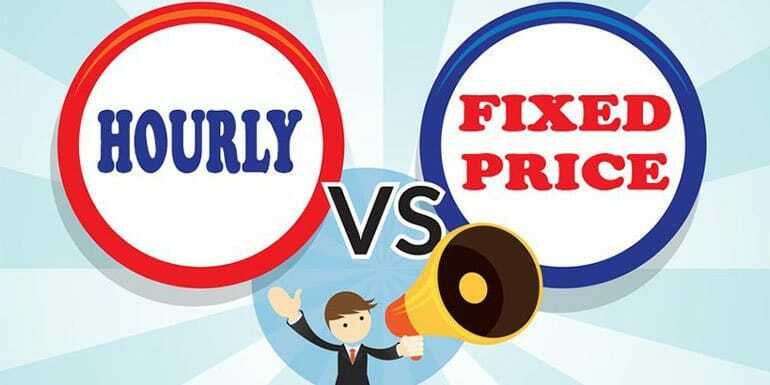 There can be many factors a client on freelancing sites like Upwork or Freelancer rejects a proposal but being an employer on those freelancing sites, I have seen many proposals that can be declined just because they have wrong pricing and it is not about price being too high. When you provide hours as well as an amount, client will check out your hourly rates and if, it is inconsistent i.e. anything other than $50 per hour, your proposal is rejected then and there. Provide an estimated price of $500 and a delivery time instead of hours you will need to get it done. Delivery time is 1 day or 1 week which does not say it will need 10 hours of work or 20. If you can code very fast, or if you can do whatever it takes to complete the job very fast, avoid hourly proposals. In either case put an hourly price or fixed price but not both. Many freelancer’s put price as the most important aspect of a proposal but believe me it is the least significant. The most important aspect of any proposal is to ask the right questions to understand the requirements of the client. If you can deliver what client expects in the stipulated timeframe, price can be worked upon. Scope of work and understanding the requirements better can be perfected with experience but putting a price is the last thing you should consider in a proposal where you have the slightest of doubt in requirement. Put a price and more often you will not hear back from clients because if others have asked questions that you haven’t, client knows for sure that those things are pretty unclear in his description and you possibly have not taken those things into account. If you value your services too cheaply, you can be considered a cheap freelancer as well. I would not like to waste my time building a social networking site with many features with a freelancer who has quoted $100 for it. It is not humanly possible no matter which side of the globe he is. Your price can be looked as too high if your competition provides the same quality of work and provides more value. Browse other freelancer’s profile on Upwork or their website and see what kind of rates they are charging and what extra value they add. If you are doing something very niche, you will have low to no competition but if you are doing highly competitive work, it will have competition and so you will always have to work with clients based on competitive rates, maintaining the quality of work and provide additional value.